'Remote Kiss' Remix Contest: Foem just published the new Robert Babicz remix competition. 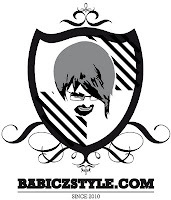 You can remix his track 'Remote Kiss' and win a release on his new label 'Babiczstyle'. Also, Soundcloud again sponsored great Premium Accounts for the lucky winners. Robert has received so many requests by artists who want to remix this tune that he decided to make it an open competition. 'Remote Kiss' is by far one of the hottest tracks of 2010 (FOEM thinks), so it should just be a matter of honour to enter the comp. Robert provides the Logic project files, next to 1,5GB remix stems.